The Bahamas International Film Festival (BIFF) – this event is now in its 14th year and will be hosted in Harbour Island and Nassau. BIFF showcases 50 films from countries around the world over a four day period. For more information please see BIFF. Junkanoo Festival – Junkanoo, which is best described as an explosion of culture, is the National Festival of The Bahamas. This event is held on Boxing Day and New Year’s Eve and groups from 1-50 parade on Bay Street in a kaleidoscope of colourful costumes and intricate designs. The sound of goatskin drums, horns, whistles and bells, fill the streets with rhythmic tones as locals and visitors celebrate together. Bahamians as young as five to one hundred yeas of age, participate and take great pride in this cultural event. Preparations are done a year in advance and prizes are awarded to groups for best music, costume, choreography, theme and design. For further information, please see Junkanoo Festival. The Island House Film Festival (TIHFF) – under the theme ‘Life’s Journey’, this inaugural event celebrates the life and work of promising filmmakers from around the world, with a Caribbean focus. 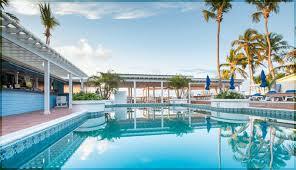 The event is being hosted by The Island House, (www.the-Island-house.com) Nassau. This workshop will showcase award winning films and is an opportunity for movie fanatics, aspiring filmmakers and actors to engage with professionals in the industry. This event aims to encourage and promote the young talent in The Bahamas. Tickets are £7 per screening available for all ages. For more information or to book, visit TIHFF or email cinema@the-Island-house.com. Atlantis Live Concert Series – as part of its annual festivities, Atlantis has a special New Year’s Eve performance by the renowned musician Sting. The event is scheduled to take place in Atlantis Imperial Ballroom starting at 9pm. Tickets will be on sale at £170 per person. Also included in the weekend festivities is a performance by R&B band, Kool and the Gang. Visit Atlantis for further information. Marathon Bahamas – Marathon Bahamas Race Weekend, hosted by Sunshine Insurance, promises to be another exciting and competitive event which will see hundreds of enthusiastic runners flock to our beautiful shores. Nassau plays host to this event, which boasts miles of scenic and ocean views. The weekend comprises of a 5k Susan G Komen Bahamas Race for the Cure, a half and a full marathon of 26.2 miles, which is expected to be bigger than previous events. For more information see Marathon Bahamas. Pure Silk-Bahamas LPGA Classic – the annual LPGA tournament is scheduled to take place at Ocean Club Golf Course, Paradise Island. This event will bring together 108 female golfers from around the world, all vying for the conveted title and prize of USD$1.4 million dollars. The event is free and kicks off at 7:00am. The tournament will be broadcast internationally on the Golf Channel. Rum Bahamas – this festival is a celebration of the culinary tastings of The Bahamas. Held at the monumental Fort Charlotte, Nassau, this event is educational as well as entertaining. Spectators will be able to taste a diverse selection of rum from The Bahamas and the Caribbean. Previous Annual Bingo Cruise Lands In The Bahamas For The 29th Year.